« Legacy Locker — why didn’t I think of that? Although there wasn’t much HD news at EHX this year, I did have some time to stop by and talk to some of my favorite home automation vendors. And at the Elk booth I learned about a really cool new way to control my home. 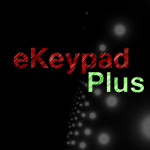 eKeypad Plus isn’t the best name for a home automation application and the $45 cost and icon might scare you off before you even get started, but it really cool. The application ties into an Elk security system — which is also a damn fine home automation controller — and gives me the type of access I’ve been waiting for. Even my wife was impressed and it when it comes to iPhone apps, we don’t see eye to eye on most. 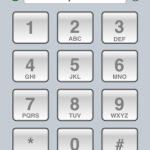 The key features I’m pleased with are the ability to check the status of the alarm from anywhere (armed etc), the ability to adjust the thermostat and I love being able to turn lights on and off without getting off the couch. Overall I don’t have any complaints — although $45 is the most I’ve ever paid for an iPhone app and I’m still not sure it is a good value — but there are a few tweaks it could have like when you click thermostat it shows the lists of thermostats in the house, even though I only have one. It also be nice if there was a way to view the Elk’s logs so I could go back and look at previous events — evidently on the roadmap for the pro version. 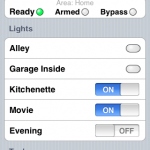 This entry was posted on Sunday, March 15th, 2009 at 5:00 pm and is filed under Home Automation. You can follow any responses to this entry through the RSS 2.0 feed. Both comments and pings are currently closed. HAI offers a similar application with similarly poor name: H@me. 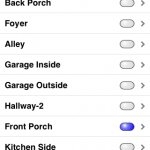 I offers the same features except for the HAI home automation system instead of ELK. The price is much better though: free. When picking a home automation system, it came down to ELK and HAI. 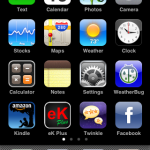 I chose the later because of the iPhone application, Philips Pronto module, Windows Home Server add-on, and Media Center add-in. Basically, HAI integrated with all of the devices I already had. There is no doubt that ELK does a much better job supporting do-it-yourself installers and I can see why they are such a popular alternative to HAI. No doubt HAI makes some nice stuff, in fact I have on of their thermostats. None of those were a factor when I bought my Elk as none of them existed. But if I was starting all over again today, I’d also take them into consideration, but based on my experiences with the Elk and how great they are to the DIY type, I’d have a hard time not choosing them again. 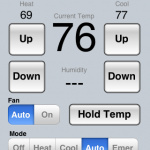 What thermostat (make/model) is linked to your elk/eKeypad plus system? I’m using an HAI Omnistat. I used to have the 1 and now I have the Omnistat2. I STILL want to hear you elaborate on how you put in your home controlling system. What home controller? What satellite switches are compatible? What audio system integrates? What thermostat works with your controller??? I have found scant “for dummies” help on getting started with all of this.